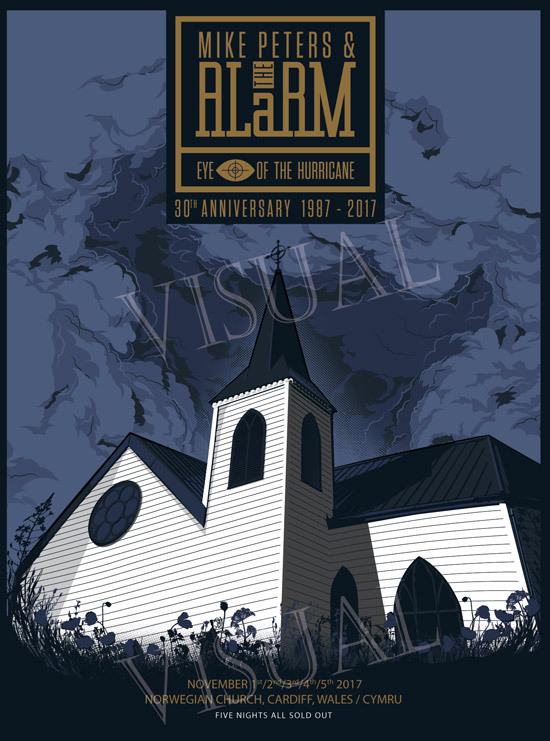 A Limited Edition Framed Print of the official lyrics represented on the original 1987 ‘Eye Of The Hurricane’ album will be on sale at the five SOLD OUT Norwegian Church concerts in Cardiff all this week. The unique artwork has been commissioned and signed by Mike Peters from a new original created by illustrator Dan Shearn and featuring the lyrics as originally revealed on the ‘Eye Of The Hurricane’ inner sleeve in 1987. 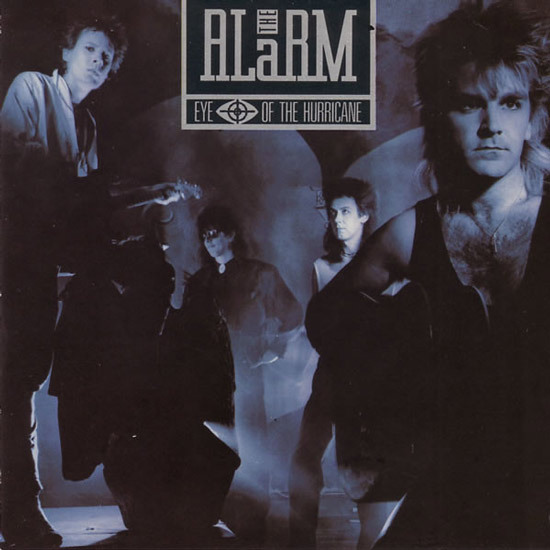 The full and complete lyrics from ‘Eye Of The Hurricane’ are published today at www.thealarm.com for the first time (see below). 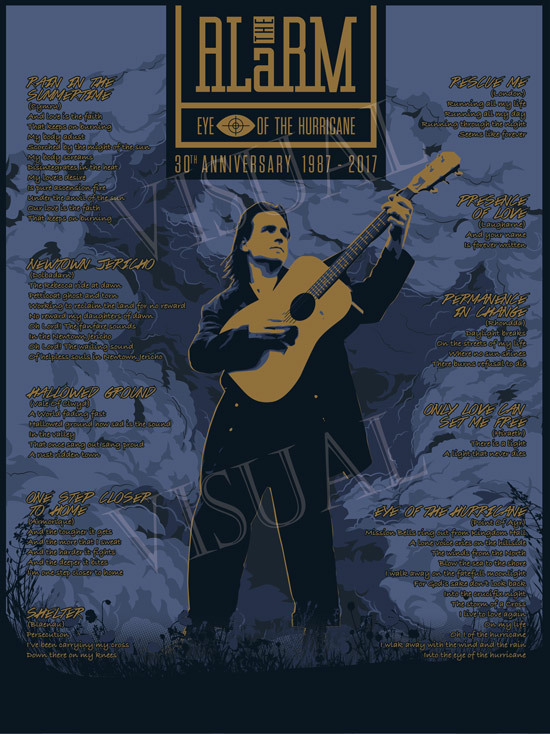 All those who have been lucky enough to get tickets for the ‘Eye Of The Hurricane – 30th Anniversary’ concert series with Mike Peters at the Norwegian Church, Cardiff, will also receive a printed A4 commemorative event poster created by the artist Dan Shearn.